Sepsis is a life-threatening condition that arises when the body’s response to an infection injures its own tissues and organs. Early recognition of sepsis is necessary in order to initiate timely, life-saving treatment. With this in mind, Carmen Polito, MD, MSc, an Atlanta Clinical & Translational Science Institute (ACTSI) investigator, graduate of the ACTSI Master of Science in Clinical Research (MSCR) program, and assistant professor of medicine at Emory University, designed a study to develop and validate a screening tool for emergency medical service (EMS) providers to detect sepsis in the field. 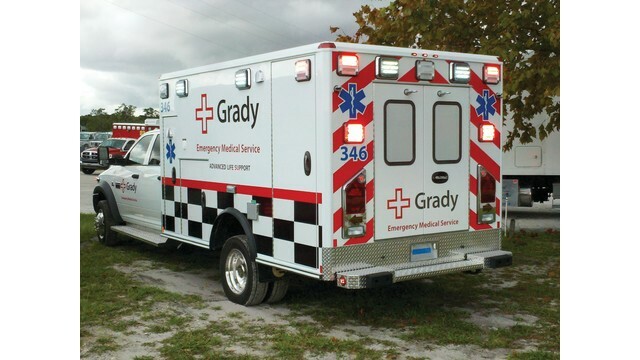 This study, published in the American Journal of Emergency Medicine, identified patients at risk for sepsis who were transported via EMS to Grady Memorial Hospital between 2011 and 2012. Studio Consultations aid in the successful design and implementation of clinical and translational science research proposals. The Studio Consultation concept involves a clinical investigator(s) presenting their proposals to representatives of the BERD, BIP, and GCRCs who in-turn give the investigator their expert feedback. By pulling together experts from these key programs, ACTSI hopes to improve a proposal's design, implementation, and analysis to maximize competitiveness. In short, a Studio Consultation is a pre-review by a panel of experts designed to improve an investigator's chances of success. A Studio will assist researchers in biostatistics, bioinformatics, database development, project generation planning, research design, and/or protocol planning and implementation. Consultations are available to researchers at Emory University, Morehouse School of Medicine, or Georgia Institute of Technology. To arrange for a Studio Consultation, please submit a request. The Emory Master of Science in Clinical Research (MSCR) degree program, from the Laney Graduate School at Emory University, provides didactic and mentored clinical and translational research training. The degree is designed for participants at Emory University and Georgia Tech who hold a doctorate or equivalent degree (such as physicians and PhD-level scientists) or predoctoral trainees enrolled in a dual degree program (MD/MSCR and PhD/MSCR tracks) and have demonstrated a commitment to a career in clinical investigation. The ACTSI is a city-wide partnership between Emory, Morehouse School of Medicine, and Georgia Institute of Technology and is one of a national consortium striving to improve the way biomedical research is conducted across the country. The consortium, funded through the National Center for Advancing Translational Sciences as one of the National Institutes of Health’s Clinical and Translational Science Awards, shares a common vision to translate laboratory discoveries into treatments for patients, engage communities in clinical research efforts, and train the next generation of clinical investigators.